You are here: Home » David, Goliath and Eric? David, Goliath . . . and Eric?! Goliath, according to the biblical story, was a giant with a fearsome reputation. He should have won every contest going, but was felled by a single stone, aimed with deadly precision from the sling of young shepherd, David. Read on to discover how this ancient story can help you commission more effective market research. And if you’re wondering where Eric fits in to all this, we’ll explain that too. It will only take 2 minutes of your time. Happy reading! 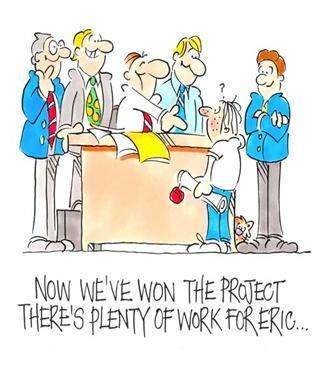 So what do David, Goliath … and Eric have to do with Market Research? Well, Goliath appeared to hold all the cards. He was enormous and had a formidable array of weapons, while David was small and only had a sling (albeit with five perfectly-shaped stones). But Goliath’s size was not enough because David played to his strengths – he was fast, agile, and knew his weapon inside out. There are plenty of ‘Goliaths’ in the research world. These large (and sometimes very large or ‘global’) agencies are armed with a huge reputation and a vast team on which to draw. How can they fail to beat a ‘David’ such as Research Insight? Always assign a director to design, run and analyse your research on a hands-on basis. Bring a wider range of business and life experience to the analysis. Offer keener prices (due to lower overheads). And while ‘Goliaths’ of the research world may claim impressive in-house expertise, many ‘Davids’ (such as Research Insight) offer an even wider network of director-level research and sector expertise. That’s because the individuals in a ‘David’ agency’s network have a breadth and depth of expertise few large agencies can match. All too often, if you select a large ‘Goliath’ agency, your project won’t be run by the director who ‘sold’ their capabilities to you. Instead, the work will be handed to a junior/trainee researcher. Our highly-talented cartoonist, Robert Duncan, has nicknamed this junior/trainee researcher ‘Eric’. Someone like this will never bring the same level of expertise to the running of your project as an experienced director at a ‘David’ agency. And the chances are that you’ll pay the same or more for Eric’s input than if you commissioned a director-level researcher at a small agency. So, how can you sort the ‘Davids’ from the ‘Goliaths’ and the ‘Erics’? Our questions below will help. And click here to see a short video on the subject. How many years’ experience do they have in market research? What other business experience (other than research) does this person have? Which other clients can I talk to who have worked with this person? Does the researcher who’ll be assigned to my project understand what I need? Has the researcher added value and ideas of their own to the ones I’ve put forward? Do I trust this person and feel I could work well with them? Will this person and their agency be a good partner for my business over the longer term? ‘Davids’ of the research world may be small, but many have incredible alliances. For example, Research Insight is a member of the Independent Consultants Group which gives us access to 400 director-level market research consultants in the UK and worldwide, a network not available to any ‘Goliath’ agency. And, just for fun, here’s an alternative explanation of why David beat Goliath although, personally, we prefer the old-fashioned version. Posted in news | Comments Off on David, Goliath and Eric?